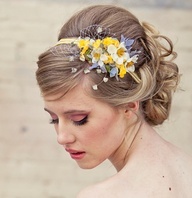 This flower crown image from Vanity Fair’s Tumblr inspired me to look for more options for flowers in our hair. Growing up, I had a French teacher who held class outdoors on pleasant afternoons, and I remember pulling up those white flowery weeds and tying them together to make a crown. 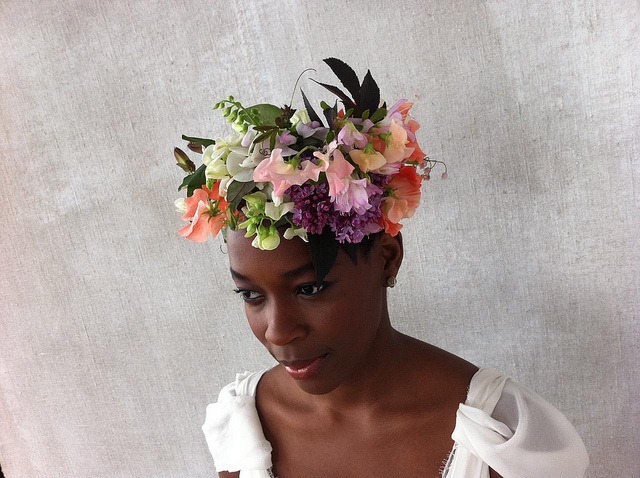 I even wore my floral creation throughout the day and remember feeling like medieval royalty. Thankfully, creative minds have found much better material to make flower crowns out of, and now they’re all over the place. 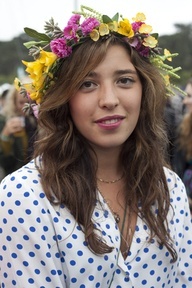 Flower crowns are appropriate at your wedding or even at a music festival like Bonnaroo. 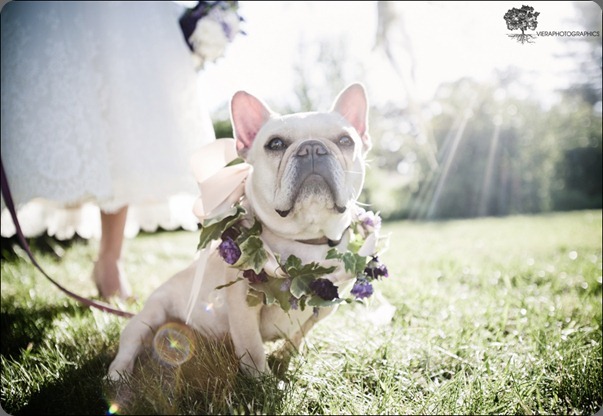 Even better – your wedding held at Bonnaroo! 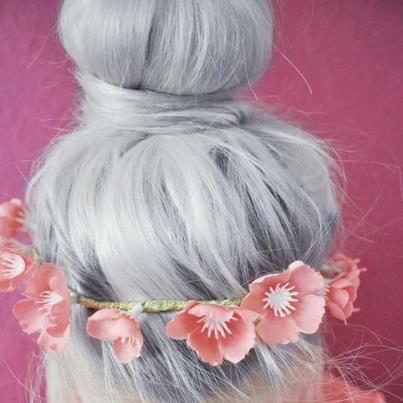 Would you wear a flower crown? What do you think? There are all sorts of options out there, but here are some of what we like best. P.S. Do you watch Girls on HBO? Remember Jessa’s surprise wedding? P.P.S. These dog flower crowns!